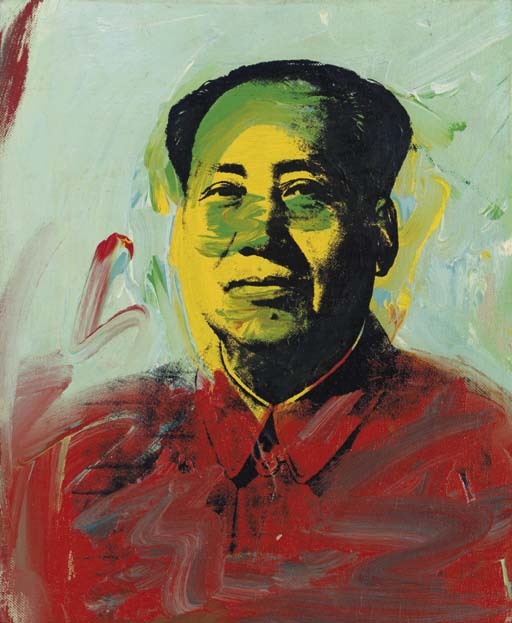 Update: The blue “Mao” painting shown below went not in the $8-12 million dollar range, but for $17,376,000. If you were to exhume the Great Helmsman’s embalmed body from under its glass casing in the Mausoleum there in Tiananmen Square, fly it to New York, and put it up for auction at Christie’s, how much do you think it would sell for? Something tells me it might actually be less than is expected today for one of the iconic paintings of Chairman Mao by Andy Warhol, one of three Mao-by-Warhol works on the block at Christie’s New York Gallery. Part of a day-long marathon auction of post-war and contemporary art, the Mao paintings are there with a Marilyn Monroe by Warhol, some fine Jackson Pollack works, and much much more. The chief of the Mao paintings is expected to fetch between US $8 million and $12 million–isn’t that more than the PRC’s cumulative GDP for 1949-1976? 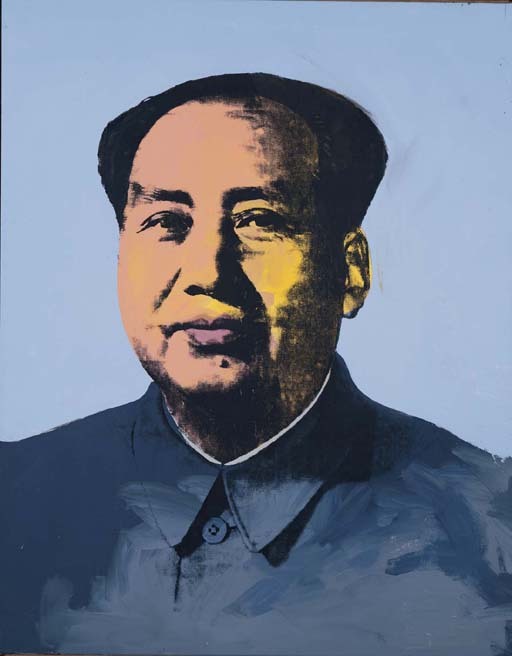 The other of Warhol’s Mao paintings in the lots today was expected to go for up to US$600K. 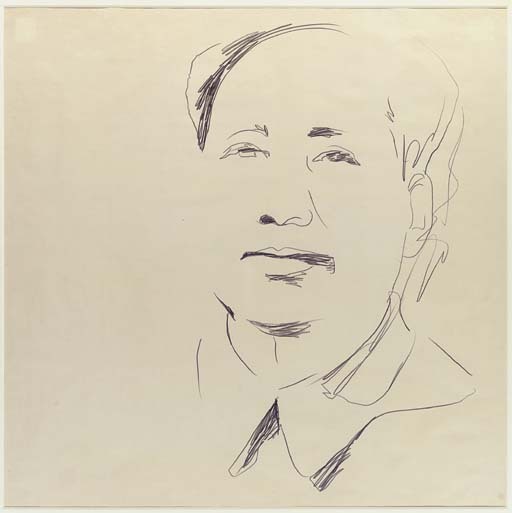 There was also a pencil drawing Warhol did of Mao, thought capable of bringing in up to $300K. I recall an article in Esquire some years back called “Die Young and Leave a Marketable Corpse,” a look into the life, death, and posthumous marketable legend of Jim Morrison. But this, this iconic marriage of Warhol and Mao and the price tag it can fetch, well, that deserves an even greater title, one I’m at a complete loss to generate at the moment. Check this page’s audio introduction to the Mao paintings as well.